Whether you're a tourist or traveling on business, Renaissance Tlemcen Hotel is a great choice for accommodation when visiting Tlemcen. Only 30 km away, this 5-star hotel can be easily accessed from the airport. For sightseeing options and local attractions, one need not look far as the hotel enjoys close proximity to Mosquee Sidi Boumediene. 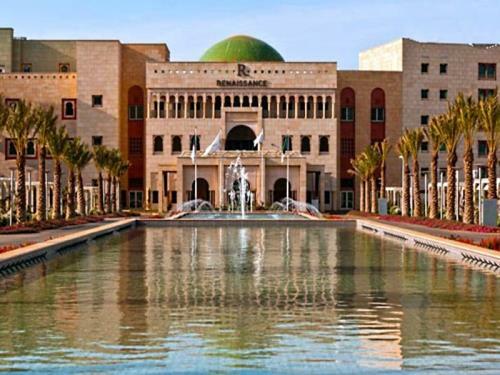 Take advantage of a wealth of unrivaled services and amenities at this Tlemcen hotel. To name a few of the hotel's facilities, there are 24-hour room service, facilities for disabled guests, Wi-Fi in public areas, car park, room service. Guests can choose from 204 rooms, all of which exude an atmosphere of total peace and harmony. The hotel offers many unique recreational opportunities such as hot tub, fitness center, sauna, outdoor pool, spa. Discover an engaging blend of professional service and a wide array of features at Renaissance Tlemcen Hotel.